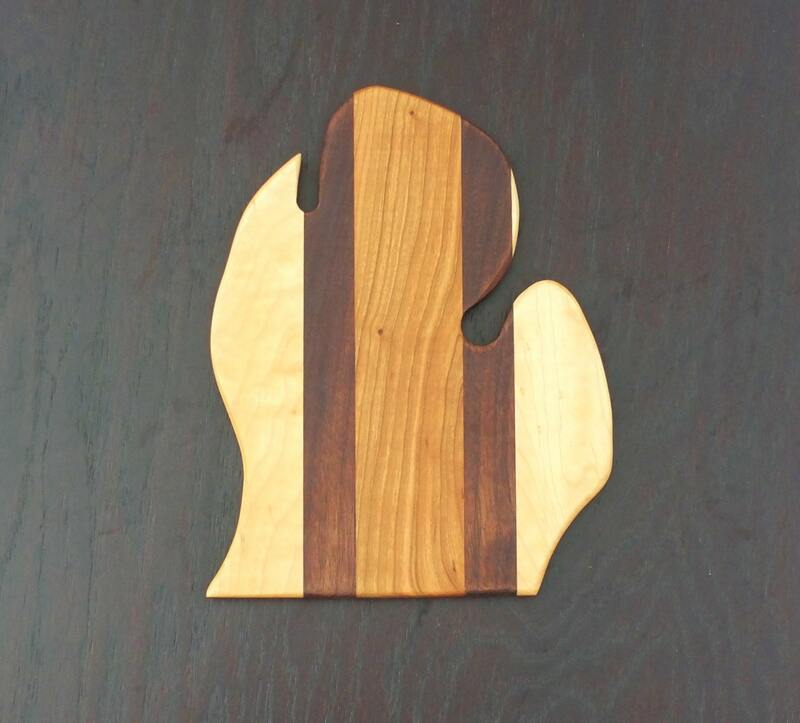 Little Michigan Cutting Board. Lower Peninsula. Great gift for the Michigan lover, snow bird, or cook. 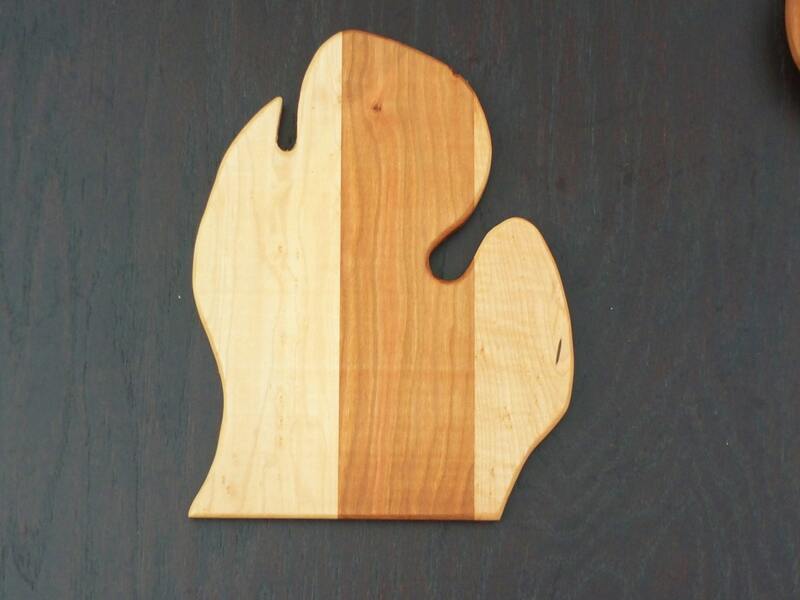 Michigan's Lower Peninsula in a Cutting Board! Great gift for Michiganders that have moved away, or for friends that know you live in Michigan. Ask about personalizing with engraving! 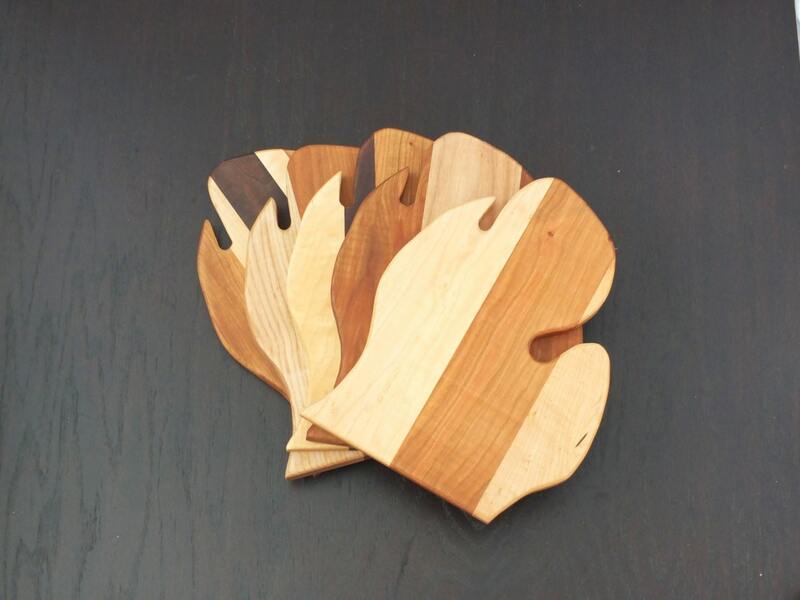 Our cutting boards are crafted from beautiful North American hardwoods. Any of our cutting boards can be personalized with laser engraving. Surprise someone with a unique wedding, anniversary or housewarming gift. 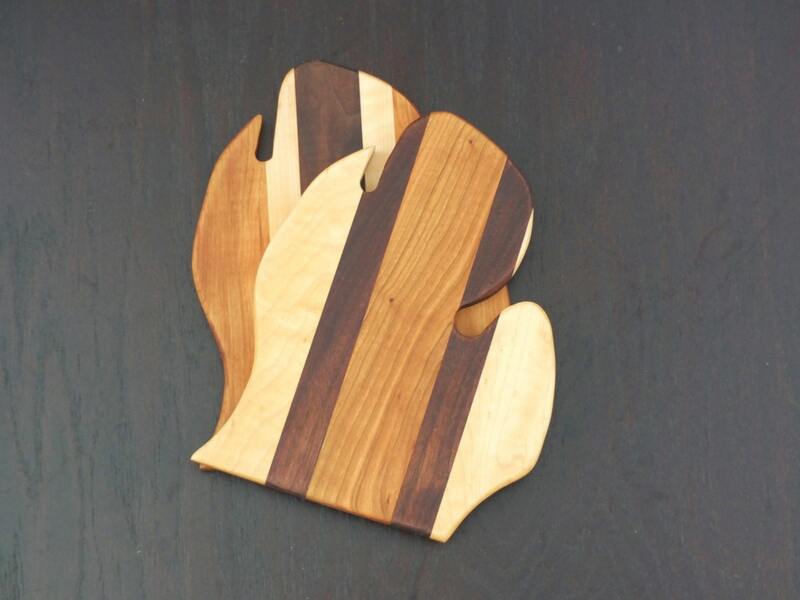 Our cutting and serving boards are the perfect gift for a family, couple, friend, or special someone in your life. A unique, personalized cutting board makes an excellent corporate gift for a business partner, client or valued employee. We can help design the perfect corporate gift using your logo, if desired. Buying as a gift? Don't forget to let them know who it is coming from. Request a note, we’ll handwrite one according to your instructions and include it in the package. We use only North America hardwoods, sourced in the Midwest. We never use foreign exotic woods or bamboo. If you want to know more about this choice, click on the ABOUT tab and read our shop story. Our processing time is 3-5 business days. Provide details in the “Add an optional note to seller” field at checkout for personalization according to the design you order. Please note that this is the only place to leave your personalization details that will appear on the board. Convo me with any questions or concerns regarding personalization. WOOD: Our boards are made from natural high grade hardwood and are never stained! Because our items are crafted from wood, a natural product, there will be board-to-board color variation. Browse our listings to see the variety of color. We purchase each piece of wood we use and prepare each board in our shop to ensure the highest quality product possible. We control every step of the creation process to give you the highest quality, most sustainable material available. This capability also enables us to make any design in any size. Let us know if you need a custom size. We progressively sand our boards to produce a beautiful, smooth surface, then treat with mineral oil and beewax to seal and finish. ENGRAVING: Our cutting boards are engraved using a laser. The color of the engraving is dependent on how each particular piece of wood reacts to the laser beam. TERMS OF SALE: Please double-check the spelling and make sure all of your information is correct (dates, names, etc.). We will send you the artwork for approval, if you indicate so in your order. We cannot accept returns or refunds on engraved items, unless we made the error.